Ultra-Cal Night™ is a scientifically advanced calcium formula, providing optimal forms of calcium and key co-nutrients to help support a healthy skeletal system. Ultra-Cal Night™ is a scientifically advanced calcium formula, providing optimal forms of calcium and key co-nutrients to help support a healthy skeletal system. Most of the minerals are bound to organic compounds of the Krebs cycle (cellular energy production system), allowing for optimal absorption and utilization. 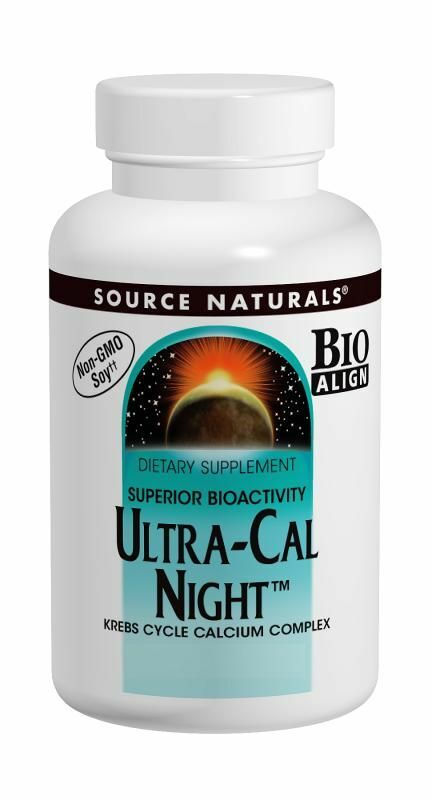 Ultra-Cal Night is specifically designed to be taken at night. Research indicates that food eaten during the day usually maintains adequate calcium levels in the blood. Taking calcium supplements at night offers added protection until breakfast. Ultra-Cal Night contains a 1:1 ratio of calcium and magnesium due to magnesium's role in the regulation of calcium balance in bones.